PondHawks logo from the band's website. The Illinois Entertainer has just posted my preview for this year's International Pop Overthrow in Chicago. There are a lot of bands worth checking out at this festival. 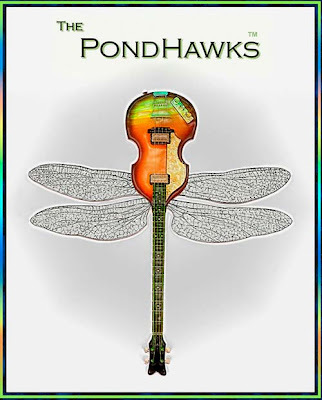 In addition to the ones mentioned in my Illinois Entertainer piece, I would also recommend The PondHawks, Go Time, The Queue, The Shake Ups, Pop Dollys, V Sparks, Otter Petter, The Oohs, No Exit, Gidgets Ga Ga, The Laureates, and The Blissters. I'm sure there are many other exciting acts on the schedule. Go and discover some yourself. I'll be doing more posts about International Pop Overthrow in Chicago once the festival gets started. P.S. 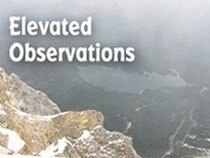 Be sure to check the Elevated Observations column on this blog for updated info on Todd Wright's 40x40 project to find a cure for Juvenile Diabetes, and the latest episode of Manchester Gallery, the series my wife and I have created for the Internet Show Sunday Morning Coffee With Jeff.